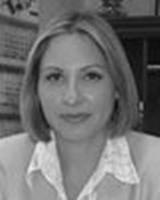 Julia Sharifov is of counsel to Sharifov & Associates, PLLC and a principal of the Law Offices of Julia Sharifov, P.C. She is a graduate of New York University (B.A.) and the New York Law School (J.D.). Ms. Sharifov is duly admitted to practice law before the courts of the State of New York, as well as federal courts. She is a long-standing member of the American Immigration Lawyers Association (AILA). She has been in private practice for over thirteen years. Her major area of specialization is immigration law, business and family-based immigration, in particular. Ms. Sharifov provides professional legal services relating to immigration law not only to individuals but also to companies and foreign entities in the United States, as well as overseas. United States Court for the Southern and Eastern Districts of New York.